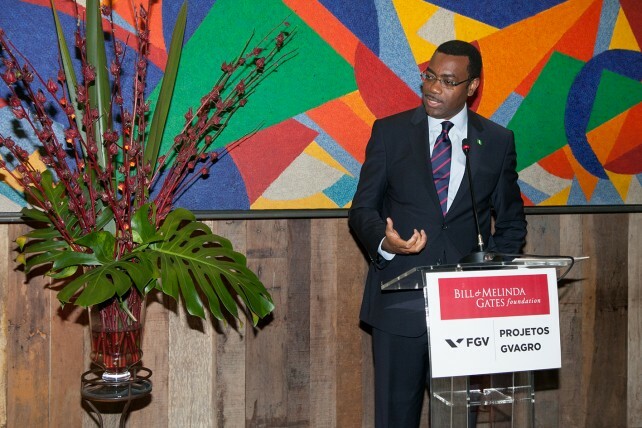 The Minister of Agriculture of Nigeria, Akinwumi Ayo Adesina, considered by the UN Secretary-General as one of the 20 major supporters of the Millennium Goals and a great enthusiast for combating hunger and poverty, met with directors of FGV Projetos and representatives of the Gates Foundation in São Paulo on April 11-12 to learn about the development model of agribusiness in Brazil and its expertise in the industry. 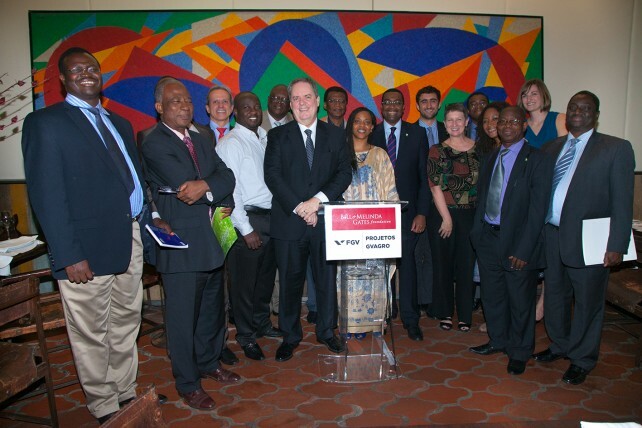 Nigeria is today one of the main trading partners of the country on the African continent and intends to use the renowned Brazilian model to benefit, innovate and improve its production and technology. 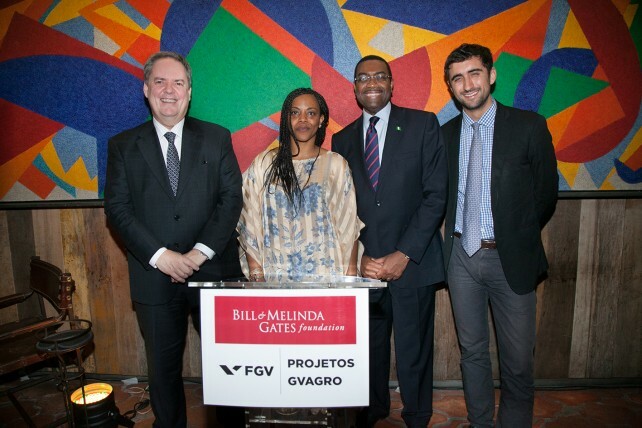 Present at the event were RFGV Projetos Director Cesar Cunha Campos, unit Control Director Antônio Carlos Kfouri Aidar, the Nigerian Ambassador in Brazil, Muhammad Lawal Sulaiman, the Senior Program Officer at the Gates Foundation Valerie Bemo, former President of Embrapa Carlos Magno, as well as representatives of Odebrecht, Standard Bank and from various industry entities and associations.